The Theatre Royal was officially opened in March 1837. This is how Lawrence Olivier described the Theatre Royal in 1948. He was pleading for it to be saved from demolition. "We appreciate playing in it not only because it is a beautiful little theatre, it is more than that. Your parents and grandparents have sat here as audiences. They have acted on this stage. 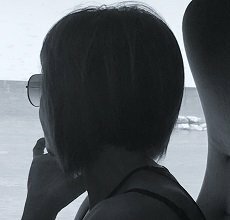 In the 111 years it has been played in, it has built up atmosphere, and the secret of atmosphere is antiquity... Don't let it go!". Well it worked. Instead of being demolished, the theatre was renovated and still stands today. It certainly is beautiful, don't you think? On the Monday morning that we were there, there were no tours running. However the lady we spoke to was kind enough to show us around anyway. Inside the theatre I think I did get a sense of the atmosphere that Olivier was referring to. It's hard not to when you look up and see something as lovely as this. 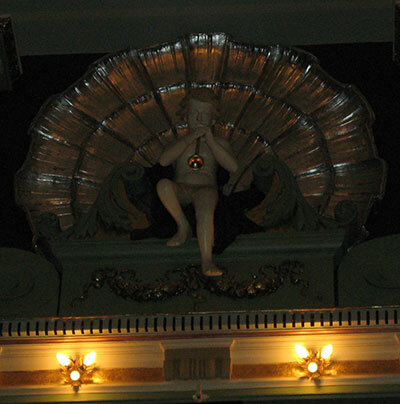 An angel hangs above the stage perhaps protecting the theatre from harm. Aren't box seats luxurious? My friend and I once occupied a box seat at a performance of Sweet Charity. With our own separate viewing area, we certainly felt very special. We were told that we would be able to see part of the original building if we went outside. So we went and had a look. 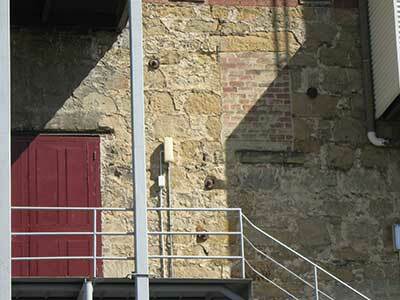 As you can see, some of the work done in the 1830s is still visible. The foundation stone of the theatre was laid in 1834. A thousand people came to the event. There was a band playing. In the harbour, ships showed their colours. There were bursts of cannon fire too. 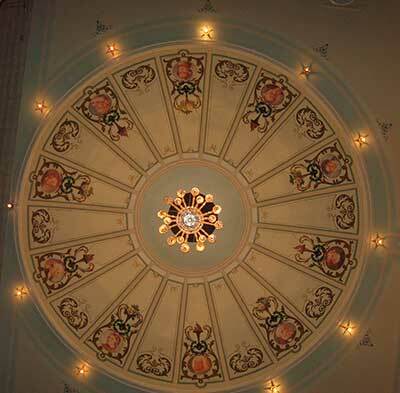 1n January 1837, the original theatre was completed by Peter Degraves, founder of the Cascade Brewery. The theatre stage used to be lit by whale oil powered lamps. Peter Degraves had built with the future in mind though, so the theatre was able to transition to gas lighting in 1857. In fact the theatre was the Hobart Gas Company's first customer. In 1911 and 1912 the theatre was renovated and began to use electricity. 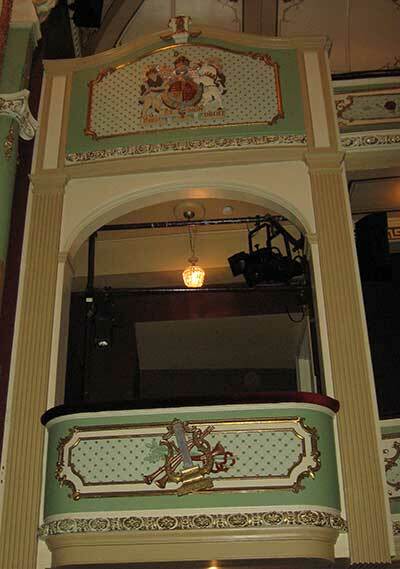 Thanks to Melbourne architects, William Pitt and sons, the theatre has the decor we see today. Since then, the theatre was almost shut down, came close to being demolised and even survived a fire in 1984. 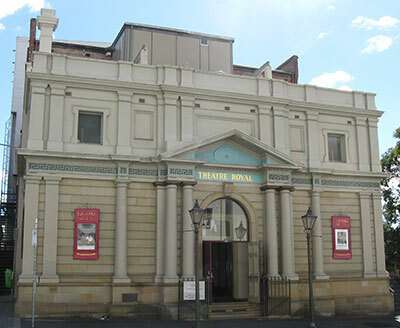 Thanks to the hard work of the people of Hobart and the State Government, the theatre was repaired and reopened in 1986. Thanks to the Theatre Royal staff for filling me in on the history and background.